LanguageCorps has partnered with a number of organizations over the years, always seeking to provide a better experience for our teachers, or to give back to the communities we’re in. The Cambodian Children’s Fund (CCF) is a unique NGO based in Phnom Penh, Cambodia (www.cambodianchildrensfund.org). Its five facilities care for almost 500 multiply deprived children, most of them from Phnom Penh’s notorious and noxious rubbish dump. In additional to food, shelter and security, CCF provides a high-quality educational environment and ensures that the children remain connected to their own culture. CCF’s primary aim is to help Cambodia recover from its social and economic wounds by harnessing the inherent capacity of its emergent generation, to better prosper as a nation and a society. 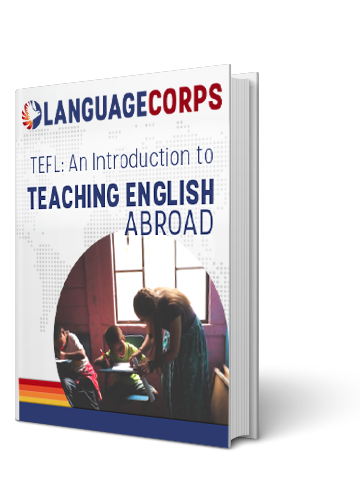 To further that goal, LanguageCorps has provided free TESOL Training and Certification for the CCF staff, increasing the effectiveness of both teachers and managers and maximizing their ability to make a positive impact. Located in Washington, DC, American University’s School of International Service (www.american.edu/sis) is ranked consistently among the top ten schools of international relations. More than 3,000 students, from undergraduates to PhD candidates, representing 150 countries, are taught by over 100 full-time faculty. SIS’s policy-practitioner relationships and global university partnerships help to place 80 percent of its students in internships, and enable 40 percent of graduate students, and 80 percent of undergraduates, to study abroad. The School’s faculty, practicing adjuncts and interdisciplinary curriculum prepare graduates for global service in government, non-profits and business. In a partnership with LanguageCorps, all LanguageCorps teachers and alumni who are admitted to one of SIS’s graduate degree programs in international affairs will receive a guaranteed minimum scholarship award equal to one academic credit and up to a maximum of 18 credits for highly qualified applicants. In addition, the admissions application fee is also waived for current LanguageCorps teachers and alumni. The Vietnam USA Society’s mission is to provide the Vietnamese youth with a powerful and effective tool – English (www.vus.edu.vn/en ). VUS students have the opportunity to advance their knowledge, widen their vision and access international education to further develop personally and professionally and to contribute to the development of society. They have partnered with LanguageCorps to offer a $100 scholarship on all of the LanguageCorps Programs in Vietnam, as well as setting up a special review and selection procedure to assist trainees with qualifying for priority selection for teaching positions. The LanguageCorps TEFL / TESOL program has been approved by Pannasastra University for issuance of advanced placement and graduate credit towards its M.Ed. TEFL / TESOL program (www.puc.edu.kh/). Pannasastra is a member of the Accreditation Committee of Cambodia for Higher Education, which certifies credit and degree granting institutions in Cambodia and is itself a member of the Council for Higher Education Accreditation in Washington D.C., the accreditation body for the regional accreditation of US colleges and Universities. Through this linkage of accreditation authorities, credits and programs from Pannasastra are transferable and accepted at Accredited Institutions of Higher Education world wide.